Composed by Secretary Michael. Repertoire. Score. 327 pages. Published by Machinists Union Press (S0.78185). Singing hymns is like taking musical vitamins. It helps build strong choirs, quartets, family singers, classroom groups, and even soloists.Public school teachers often find that the world's most famous hymns are off-limits because the verses were written for religious worship.The purpose of the Secular Hymnal is to make our rich heritage of hymn tunes accessible to all people. 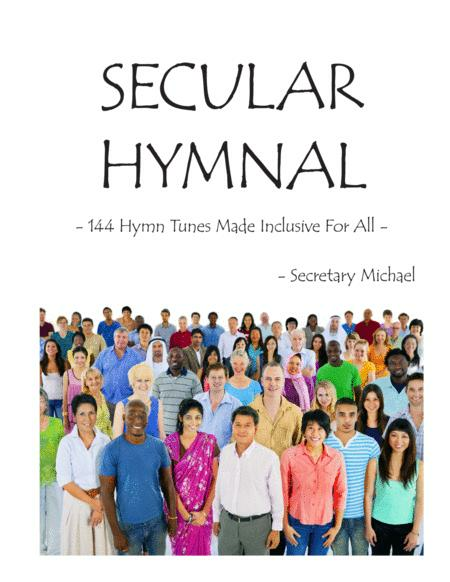 Although nothing can replace the grandeur of the traditional religious verses, these rich new lyrics (created by a former public school music teacher) are respectful and have a gentle beauty and intelligence of their own.This 328-page book contains 144 Secular Hymns in 4-part harmony that are fun to sing, whether you're a full SATB choir or just a singer with a guitar. Learn these and you'll be an expert in hymn tunes!